"You just want to shut catalogers down, and you don't have any real catalog-based solutions to help us grow. Why do you want to shut us down?" To which I have a simple reply, quoting the esteemed Col. Sherman T. Potter, of MASH fame. If I have not made this 100% clear in the past four years, allow me to make it clear right now. Kevin Hillstrom Does Not Hate Catalog Marketing. Kevin Hillstrom Hates All Marketing That Is Wasteful And Drains A Company Of Profit. I usually provide the following example to folks who ask the question ... this example, by the way, is the outcome of many of my projects. Kevin significantly trims circulation to the twelve month file, reducing demand by $5,000,000, but increasing profit by $1,000,000. Kevin asks the business to create a prospecting catalog series, small page counts, best merchandise, best creative, best offers, best pagination strategy with the absolute best product in the first twenty pages, no branding or lifestyle imagery whatsoever, no risky, untested products. Kevin reinvests $1,000,000 in both catalog customer acquisition and online marketing. Total company circulation, on an annual basis, increases by 10%. This re-allocation of the marketing budget results in an increase in demand of $5,000,000 and a loss of $700,000. Annual Profit increases by $300,000. Annual Catalogs circulated increase by 10%. The catalog brand has more twelve-month buyers to mail next year. What, in the name of the Direct Marketing Association, is wrong with that? Isn't that an outcome you'd like to see happen? I do not hate catalog marketing. I hate waste. As it turns out, my projects tend to yield three outcomes. None of the outcomes are based on a pre-conceived agenda, they are the unbiased outcome of actual customer response to your catalogs and the underlying dynamics of your business. I actually recommend that the brand mail housefile customers MORE OFTEN and outside lists MORE OFTEN. Yes, I have recommended this, in fact, this is a logical outcome in close to twenty percent of my projects. 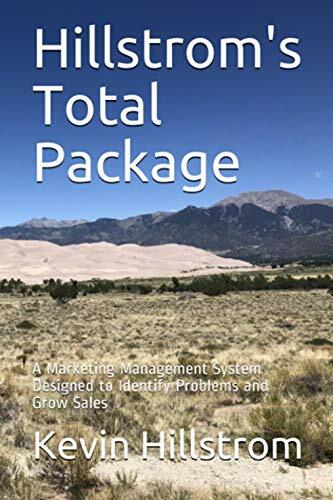 In fact, the usual outcome is the development of a prospecting vehicle, one with a small page count, mailed more frequently and to far more names --- hint, catalog vendors, you should like it when I recommend this! I recommend that the brand mail housefile customers less often and outside lists MORE OFTEN. This is a common outcome, happening about sixty percent of the time. Hint, catalog vendors, you should like it when I recommend this! I recommend that the brand mail housefile customers less often and recommend shifting marketing strategies online. This is what you think I advocate, but it is the outcome of only twenty percent of my projects, and is not something that I am authoring, but instead, is the outcome of tepid customer response to catalog mailings. My projects are channel agnostic. All I care about is helping your business generate more profit. If I can also find a way to help your business grow while reducing waste, I'll be the first to recommend that outcome to you. Now that we are clear that "Kevin Hillstrom Does Not Hate Catalog Marketing", here's a direct marketing best practice for you ... a call to action ... click here to contact me for details about your own Multichannel Forensics project.